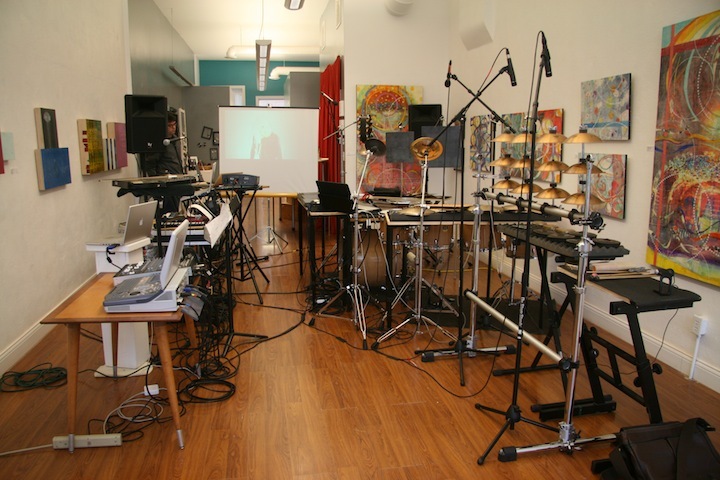 Photo: Big Robot’s setup in the Lala Gallery in West Lafeyette. 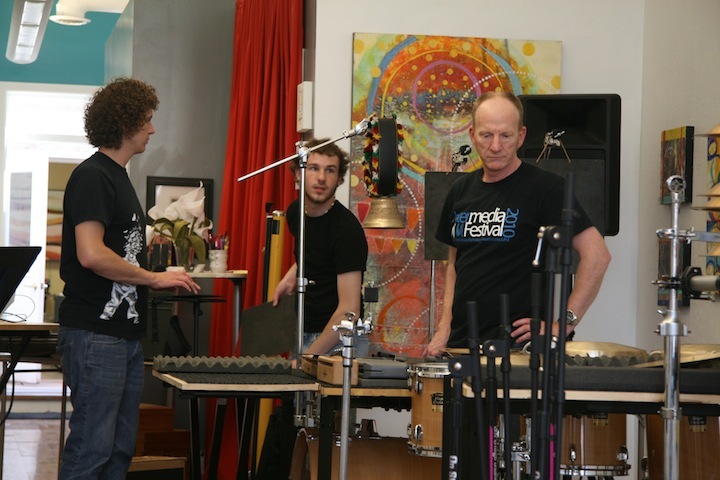 Photo by Rachel Daley.Photo: TC members (from left) Nick Hartgrove and Josh Emanuel working with Professor Scott Deal in preparation for the E3 concert. Photo by Rachel Daley. Photo: Big Robot members (in back from left) Jordan Munson, Michael Drew, and Scott Deal performing an improvisation with Don Nichols (front). Photo by Rachel Daley. 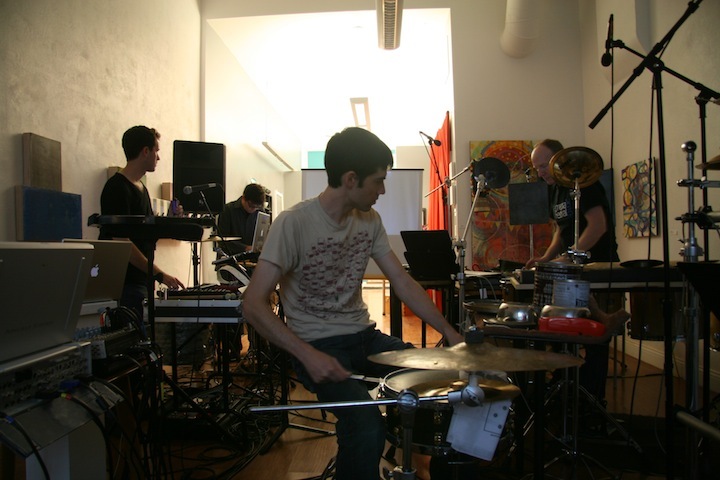 You are currently reading Telematic Collective and Big Robot at Telematic Collective.